Will your underwear talk to the internet? Will your underwear become a node on the Internet of Things? Gerry Elman attended the Greater Philadelphia Smart Fabrics Conference at Drexel University’s Center for Functional Fabrics on May 9, 2017. 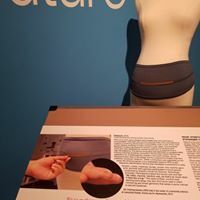 He enjoyed learning more about the Smart Belly Band for pregnant moms, developed in the Shima Seiki Haute Technology Lab at Drexel’s ExCITe Center. Gerry continues to hone his cutting-edge expertise on the implications of intellectual property and cybersecurity law for this burgeoning field of technological development. As a speaker and mentor at the Advanced Textiles Conference of IFAI Expo in New Orleans this September, he will be sharing that expertise with entrepreneurs shaping the future. On June 9-10, 2017, Gerry will participate in the Comcast/machineQ Smart City Hackathon in Center City Philadelphia, helping to build an Internet of Things solution for “smarter,” more responsive city infrastructure. This includes hands-on experience with the long range wireless technology being rolled out by Comcast subsidiary machineQ. If you’re envisioning developments in this field, make plans to join him at one of these events. Or send a note via the Contact Us form on this page. Also keep in mind that Gerry co-hosts the TriState.IoT Meetup, which draws participants from Pennsylvania, Delaware and New Jersey. In-person meetings are typically in the vicinity of Radnor and Paoli, PA, and some are webinars. For ongoing updates on their doings, join the Meetup for free.